Marcus Sherels agreed to sign a one-year deal with the Saints on Thursday, according to a league source, ending a nine-year run with the Vikings. Marcus Sherels, one of the longest-tenured Vikings players and the franchise’s all-time leading punt returner, will don a new NFL jersey next season. 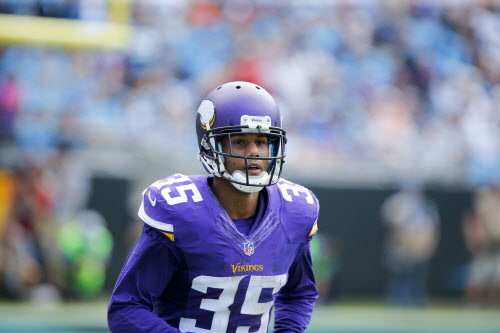 Sherels, a free agent, agreed to sign a one-year deal with the Saints on Thursday, according to a league source. The 31-year-old returner is the third ex-Vikings player to sign with New Orleans this offseason, joining running back Latavius Murray and guard Nick Easton. Sherels became an NFL survivor and locker room favorite since going undrafted in 2010 out of Minnesota. He almost instantly grew into one of the NFL’s best punt returners, ranking top 10 in average during five of the last six seasons. His 2,447 career punt return yards leads the Vikings franchise. He appeared in 124 games. The Vikings decided to move on from Sherels, who averaged 10.6 yards per punt return and scored five touchdowns in his career. Current options at punt returner include running back Ameer Abdullah, cornerback Holton Hill and receiver Brandon Zylstra. Is it time for Vikings to trust Kyle Sloter as their backup QB?